Peacocks Medical Group have been supplying a wide range of medical equipment to UK operating theatres and surgeries for over fifty years. Since 2001, Peacocks have been the UK distributor for Mediland theatre lights, tables and associated products. Mediland is an innovative, cutting-edge manufacturer able to mesh modern technology and innovation in theatre equipment to meet the needs of the most forward-thinking surgeries, hospitals and clinics. 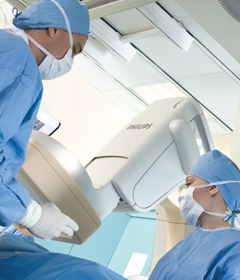 As of 2009, Peacocks is also the UK distributor for Skytron operating lights, tables, operating theatre pendants, integrated systems and asset management systems to provide a full turnkey process for your medical theatre needs. Peacocks are proud to be members of the British Healthcare Trades Association.